Vintage Clothing Blog | Vintage Wedding Dresses | Salvage Life: VINTAGE BARRETTES!!!! My beautiful daughter Ruby was born with a full head of hair which has me dreaming of all the ways I will decorate it. 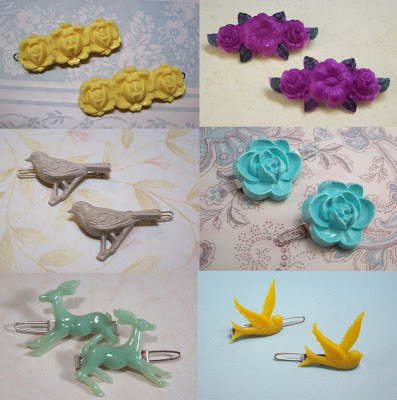 I found these fantastic barrettes made from the most adorable vintage cabochons at Kitchen Table Studios. The only problem is, I would probably end up keeping them all for myself!